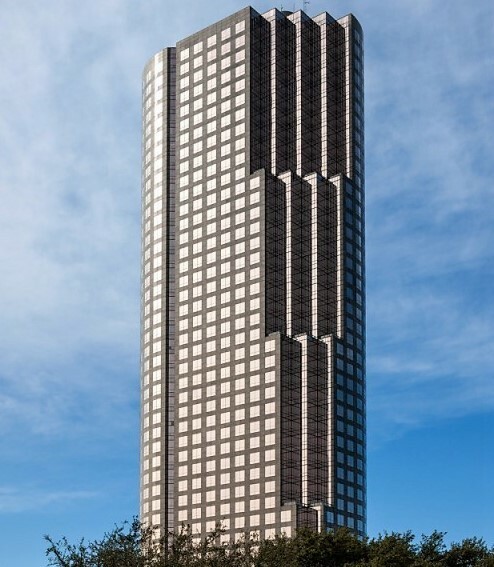 Energy Allied is an internationally recognized project developer with a diverse portfolio of energy projects and in-depth experience in project development. 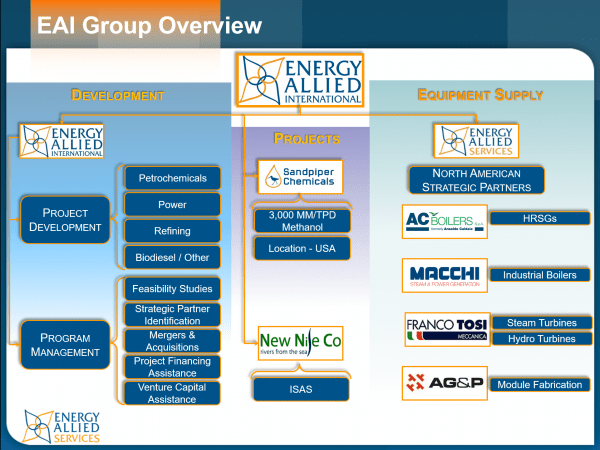 Throughout the years Energy Allied has developed a vast network and very close relationships globally. 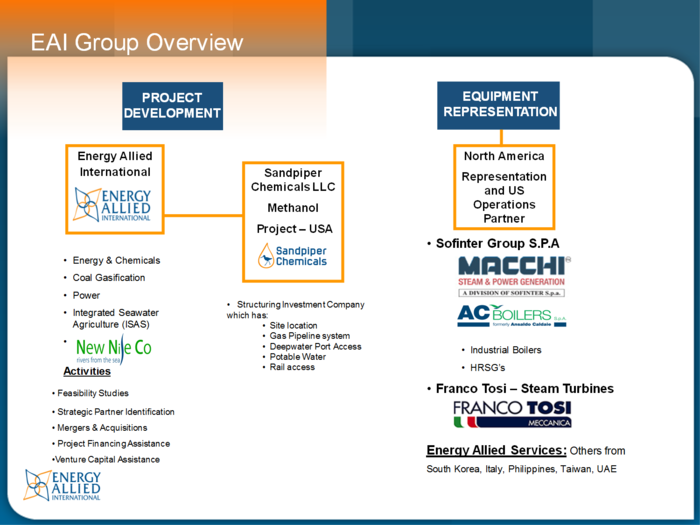 In addition Energy Allied Services represents major long lead engineered equipment and partner with Macchi Steam & Power Generation, AC Boiler and Franco Tosi Meccanica.